The Ottawa-headquartered real estate firm Sakto Corporation has for years faced accusations that it owes its success to money originating from the alleged Malaysian kleptocrat Abdul Taib Mahmud. 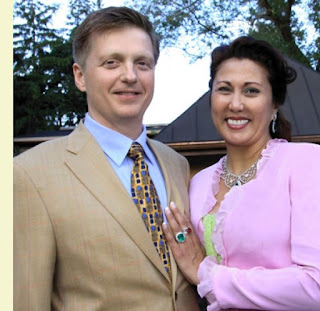 Sean Murray, the president and CEO of Sakto, is married to Jamilah Taib, the eldest of Abdul Taib Mahmud’s four children, raising suspicions that Mr. Murray owes his success to the Taib family’s ill-gotten fortune. Most recently, Sakto Corporation can notch two notable successes in its ongoing campaign to maintain its reputation as a legitimate enterprise. First, the Ontario Superior Court of Justice threw out a case brought by the Swiss NGO Bruno Manser Fonds' Association for the Peoples of the Rainforest, and Mutang Urud, demanding that Royal Bank of Canada, Toronto Dominion Bank, Manulife Financial Corporation, and Deloitte and Touche reveal information on their financial dealings with Sakto. The team defending Sakto Corporation is so pleased with its legal acumen it's even set up a website, The Facts Matter. 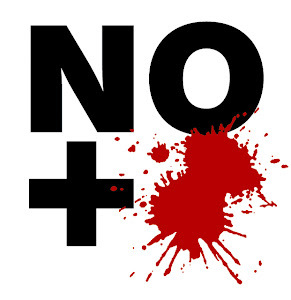 Second, Canada’s National Contact Point (NCP) for the OECD has rejected a complaint from Bruno Manser Fonds against Sakto. Though the complaint was denied, the behaviour of the NCP was inconsistent, suggesting to some that the NCP was succumbing to pressure in Ottawa. However, a sea-change in Malaysia could result in the Taib patriarch and his clan losing the political cover they've enjoyed for decades. There is a new Malaysian government in place, and it claims to be serious about tackling corruption. Abdul Taib Mahmud, who was Chief Minister of Sarawak on the Island of Borneo from 1981 to 2014, remains the ceremonial head of state, but he may now face unprecedented scrutiny. Whether this happens or not will depend on more than the actions of activist organizations like Bruno Manser Fonds. It will require deep commitment on the part of governments, some of which is already in evidence: the US Department of Justice has filed lawsuits to reclaim some of the $3.5 billion allegedly stolen from the state-owned investment fund One Malaysia Development Berhad (1MDB). While this case may not directly relate to Taib, he is definitely on the radar. The respected publication The Diplomat has reported that the alleged kleptocrat is facing mounting legal pressure to account for his multi-billion dollar fortune. And where would all that money have come from? Apparently, from three decades controlling all land allocation and forestry licensing on Sarawak, resulting in the rainforest being depleted to only 5%-10% of its original size, with much of that land replaced by palm oil plantations. The argument presented by Bruno Manser Fonds has been weakened by the lack of transparency on the part of Sakto and the Canadian government. All that can be “proven” is that, by his own admission, Abdul Taib Mahmud gave his daughter some money in the 1980s to start a real estate business in Ottawa. How much? Who knows. To any casual observer, it would appear that Mr. Murray and his wife suddenly came into a fortune that had little to do with organic accrual due to sound business acumen, as the family claims. On her website (now removed), Jamilah Taib attested that her phenomenal success was due to "a little luck, coupled with a great team, and a ‘can-do’ attitude". But Jamilah Taib’s “little luck” would appear to make her a superhero on the scale of Domino in the Deadpool franchise. It is not only $200 million worth of properties in Ottawa that are owned and controlled by Jamilah Taib and Sean Murray. Sakto Corporation also owns Ridgeford Properties in London, England, which itself has an impressive real estate portfolio, and which is managed by Sean’s cousin, Christopher Murray, with Sean as Chairman. Via her family, Jamilah Taib also has connections to real estate in Australia, the United States, and of course Malaysia. The challenge in Canada is that, as the recent court case proved, without the active participation of law enforcement and federal bureaucrats, there is no way to peer into the books of a private corporation. As such, it is difficult for independent actors to succeed via legal means. Given the present state of jurisprudence in Canada, and the indifference on the part of political actors and law enforcement, it would appear unlikely that we’ll see a deeper investigation of Jamilah Taib and her husband. But let’s be clear. Sakto Corporation is not a real estate company that follows the typical line of success seen with similar Ottawa-based firms, such as Campeau, Minto Group, Tamarack Developments, and Tartan Homes. These private, family-run businesses have had a clear transactional history, with debt-to-revenue structures that explained their impressive growth. In the case of Campeau, over-leveraged expansion resulted in bankruptcy, but the stories of how these companies grew are well known. No such disclosures exist for Sakto Corporation. Nor will they. Why? Perhaps because the pattern is of inexplicable acquisition and construction. This is notable particularly with regard to the funds required to build Ridgeford Properties in London. There is little evidence that Sakto Corporation in Ottawa was throwing off enough cash in Ottawa to explain such an impressive list of high-value real estate acquisitions. So, how did it all happen? Guess some people are just plain lucky.